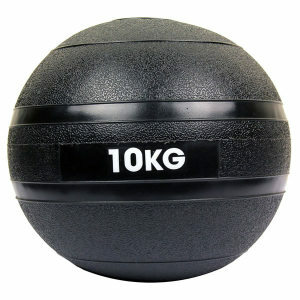 FitnessMAD™ - Slambal - 10 Kg - Zwart - Body Works fitnessgroothandel met 1800 Sportmateriaal, Fitnessproducten en gezondheidsproducten uit voorraad. The Slam Ball is an explosive way to train! This piece of equipment is so versatile, it can be used for a huge variety of exercises and is the ideal tool for Boot Camps, Fitness Intructors, CrossFit, Circuits and more. Use it to strengthen the core, increase flexibility and improve upper & lower body conditioning as well as co-ordination. Material: PVC with sand filling.